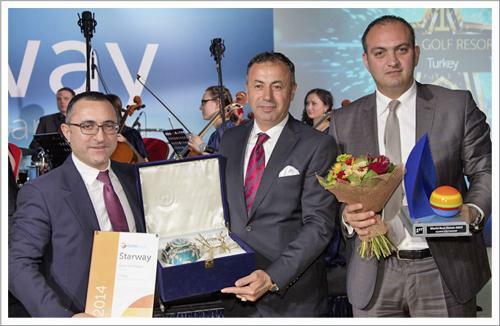 In the ceremony organized in Moscow on 17th March, the best 100 hotels ranking in the contest among more than 5 thousand hotels working with Coral Travel in 28 countries and around 60 destinations received Starway awards. 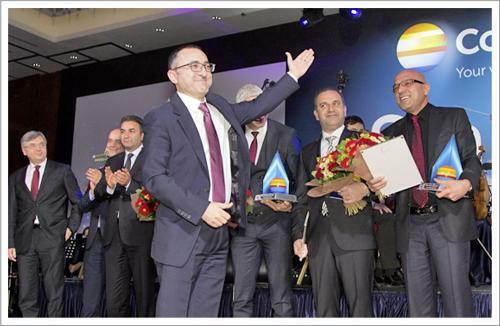 Attended by over three hundred three hundred guests, the ceremony housed hotel representatives, embassies, national tourism agencies, airline companies, best agencies of Coral Travel, journalists from Turkey and Russia and directors of OTI Group of Companies from various countries. According to the survey results determined according to the opinions of guests from Russia, Ukraine, CIS countries, Georgia, Poland, Turkey and Balkan countries receiving service from Coral Travel in 2014, the best 100 hotels were evaluated on the basis of their service performance, employees, foods and beverages, general areas, cleaning of rooms and restaurants, services offered to children, gardens and pools and animation and sports facilities regardless of the number of their stars.